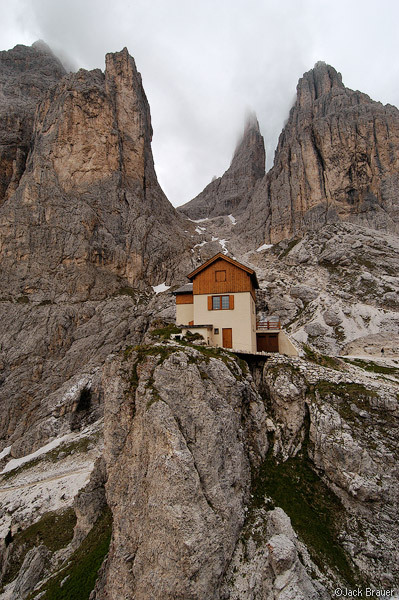 The Dolomites are a section of the Alps mountain range in Italy. 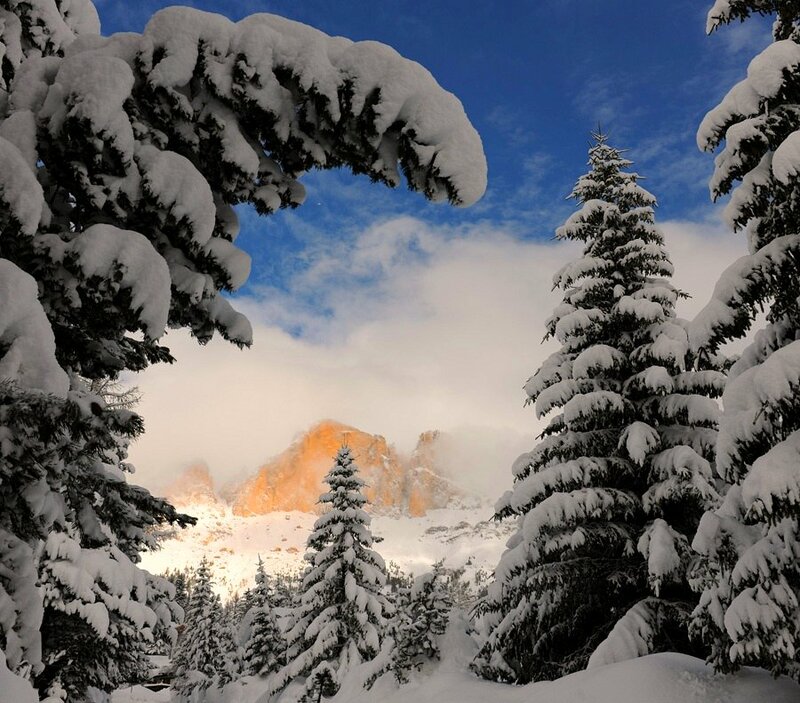 Besides the spectacular views, visitors to the Dolomites can enjoy skiing, snowshoeing, snowboarding, ice skating and sledding in the winter months, and hiking, mountaineering, mountain biking, base jumping, paragliding and hang-gliding in the summer. 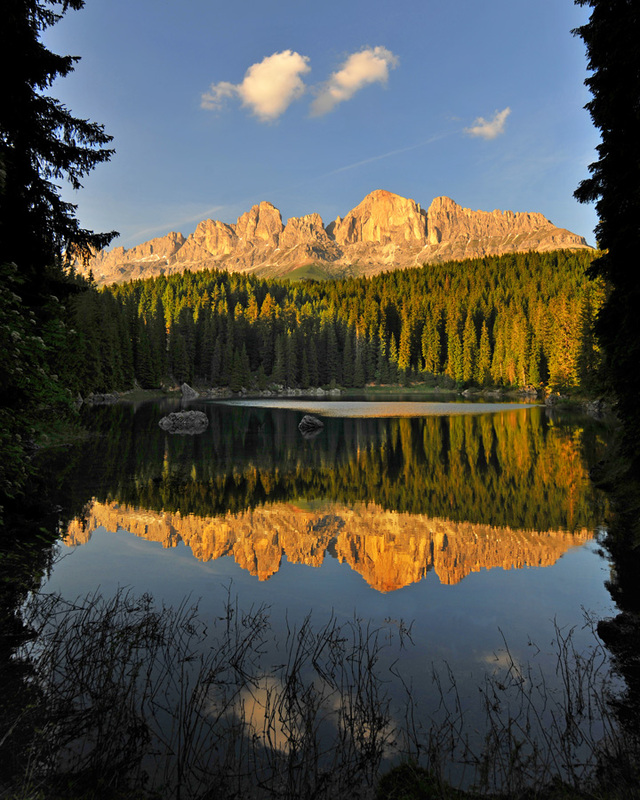 The Dolomites were recently declared a UNESCO World Heritage Site in August, 2009. 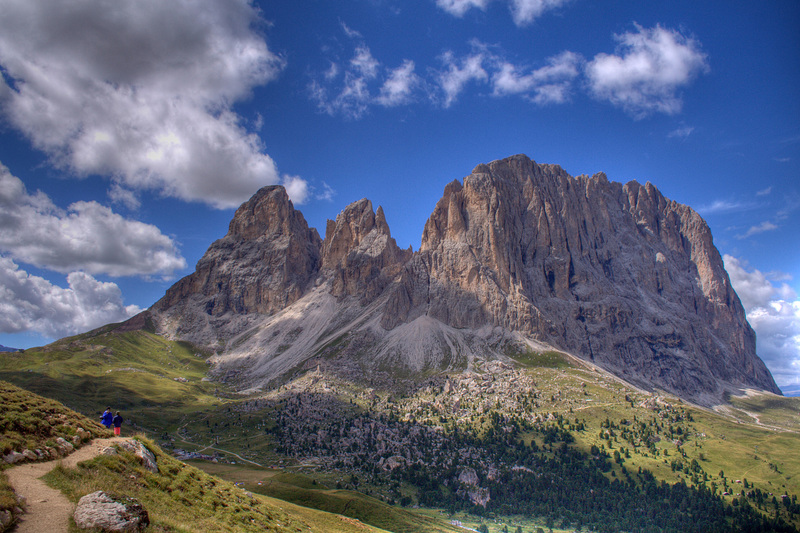 Marmolada, the Dolomites’ largest peak, stands 3,344 meters (10,972 feet) tall. 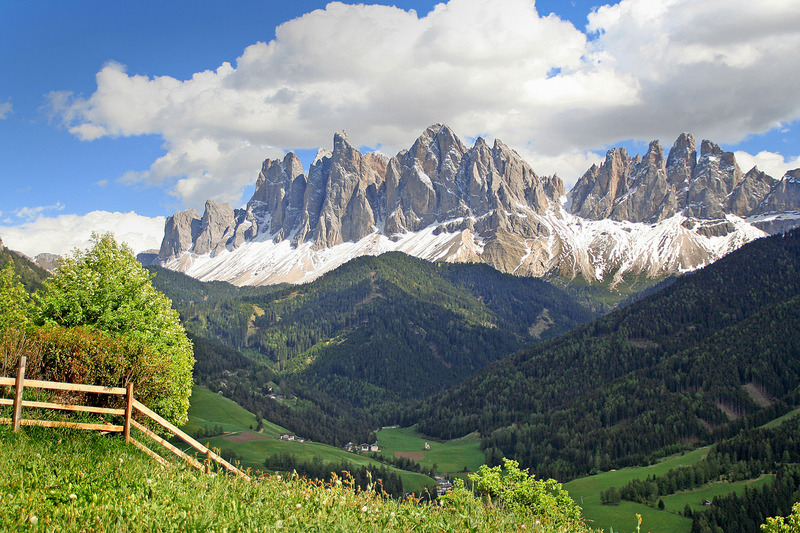 The Dolomites span three Northeastern Italian provinces: Belluno, Bolzano-Bozen and Trento. Accommodation can be found in any of the many cities and villages in the area.